Do you ever have those days where the universe just seems to be working against you, no matter what you do? I think we all do right!??! I am not having one of those days actually... I just thought I would ask!! My day however is just going... Getting things done, but not at accelerated rate either. 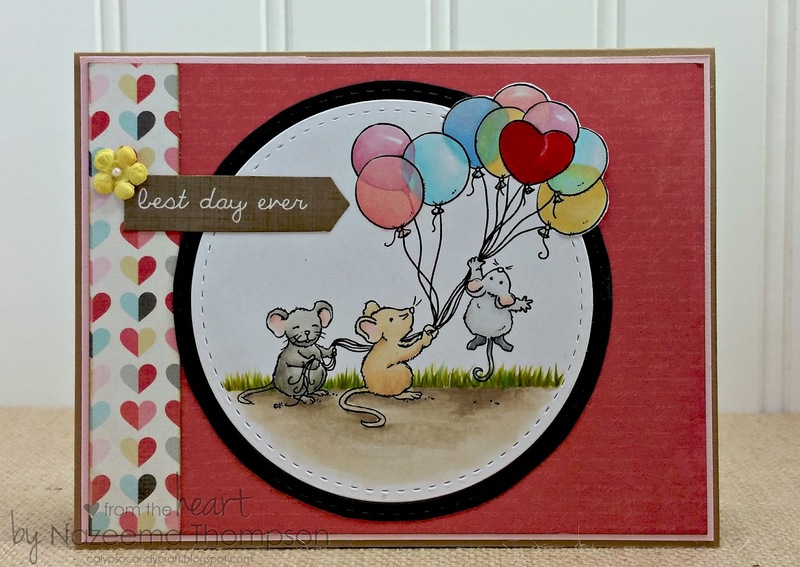 So today, I want to share a fun card I made for this weeks challenge over at From the Heart Stamps. Reminds me of when I we went sky diving...Oh boy was that FUN!!!! I was delighted to find the sentiment on the die but, because that day was the best day EVER!! This weeks challenge at FTH, is to use any past sketch. I am using Sketch #047 for my card this week. I actually flipped it horizontally... Can you see that? So I hope you will join us this week!! Another Beauty! You are such an amazing artist and I just love coming to your blog to see all you creations. Thanks for entering this week at Open-Minded Crafting. The balloons are sure "up in the Air"! Thanks for entering Open-Minded Crafting Challenges.